Piso Fare Promo 2018 is Up! Cebu Pacific Piso Fare 2018: This is it! Piso Fare, P1 Fare, Peso Fare ng Cebu Pacific is back before the year ends! We have until December 29, 2017 to book this fare! This is a perfect New Year's treat for all of us passengers and plane travelers before we greet the year 2018 with a lot of possibilities of flying. We are definitely sure that a lot of you have already been taking down notes as well as planning for your #travelgoals2018. This is the time to take advantage of the opportunity to book a cheaper fare with Cebu Pacific and when we get lucky, a base fare of Php 1. Please note that the Base Fare is Php 1. But there are still mandatory admin fees and taxes that we need to pay on top of it. Of course, there's nothing to worry as it's really very minimal and affordable! Of course, who won't get crazy with a base fare of P1 only? 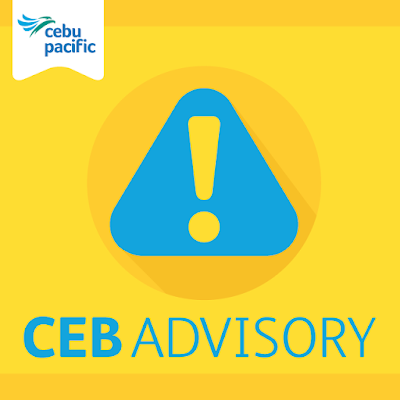 Cebu Pacific Promo Fares: Due to the tropical storm Vinta, Cebu Pacific has made some flight cancellations on some select domestic flights especially routes from Visayas and Mindanao. Below are Advisory details of which destination is affected or cancelled. It is highly suggested to take further assessment on whether you'll push through with your currently flight bookings or opt to rebook it to another date. 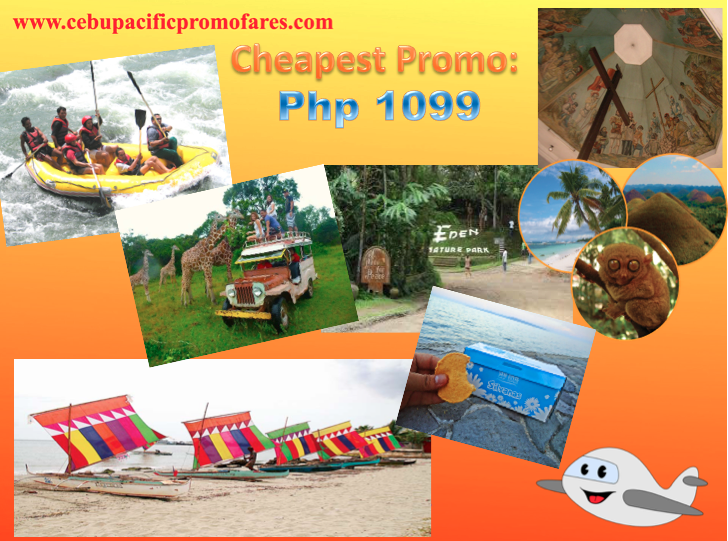 Cebu Pacific Promos: It seems after the storm, here comes a new promo fare that many will definitely go crazy. However, this time, it is something a bit different. As this recent promo offering is more focused on the international flights. So make sure, you have your passports ready before booking a ticket. 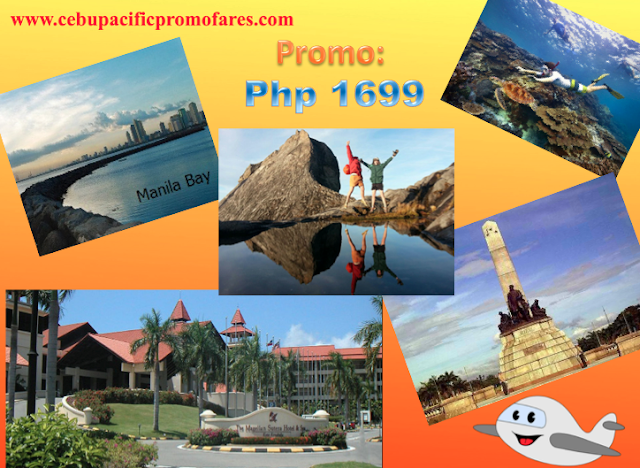 The cheapest plane fare that one can book courtesy of Cebu Pacific is Php 1699. That is a one way flight going to Kota Kinabalu from Manila. But of course, other international destinations are also on sale. Feel free to check them below. If you're finding for domestic Cebu Pacific promo fares for 2018, there is none at the moment. Cebu Pacific Promo Fares: You don't have to brave the Christmas rush. This seat sale is the perfect gift for your loved ones! Book now until Dec. 12! 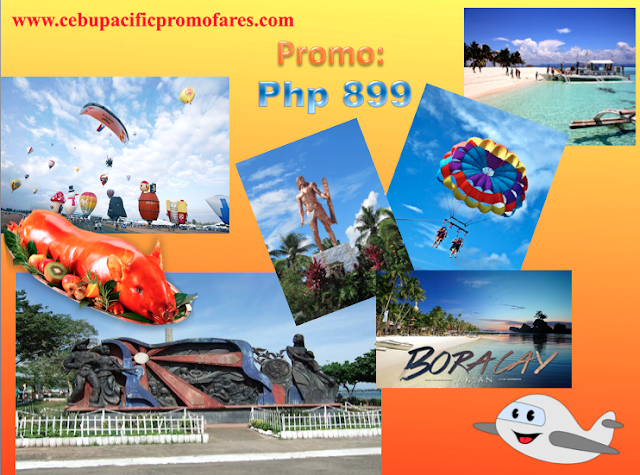 The cheapest fare you can get is around Php 899 which is coming from Cebu or Clark going to Ormoc or Kalibo. Details below when you scroll down. We suggest you keep the travel period in mind as well. 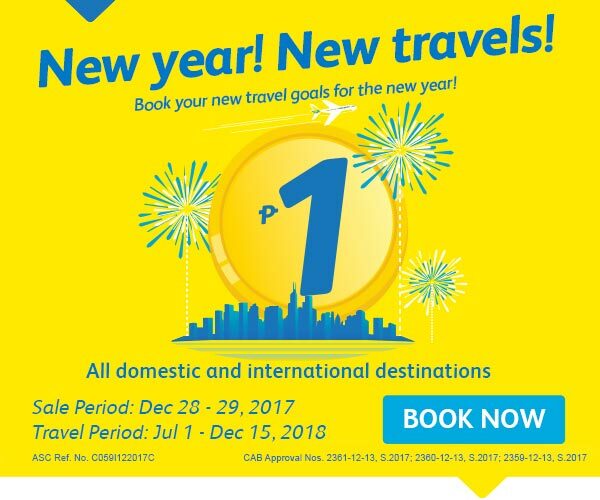 At the start of the year 2018 at exactly January 1, you may book that flight going to elsewhere. Cebu Pacific is the airline of choice for those on a travel budget. And with a huge savings on plane ticket fares, you can use the extra cash for your accommodation and some travel essentials you might need. Cebu Pacific Promo Fares: How are you feeling when the Piso Fare is over? Where you able to book tickets at least to some to your favorite destinations both local and international? If at some unfortunate circumstances you weren't able to book one, here's the latest Cebu Pacific Promos that you can avail to some select destinations. The cheapest fare you can get for a one way ticket fare is Php 1099. Please note of the base stations from Cagayan de Oro, Cebu and Davao. For those coming from Manila, the most affordable fare you can buy going to Boracay via Kalibo and/or Tuguegarao is at Php 1299. For those from Cebu, there are certainly a no. of flights that you can choose from. So take advantage of the Cebu Pacific Promo Fares now. Carefully read the details below.